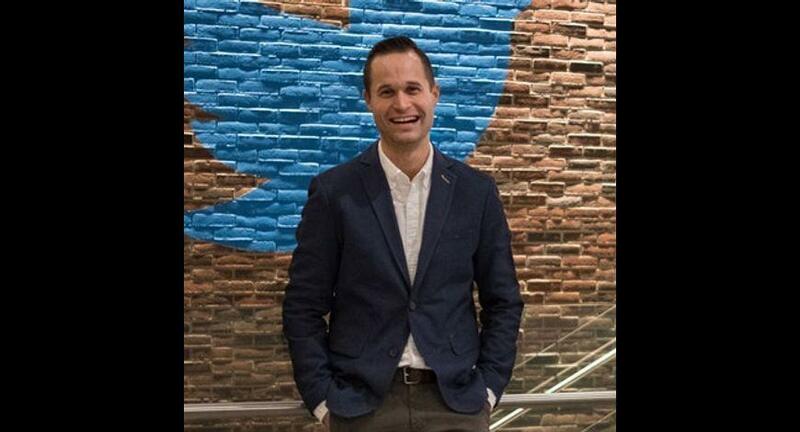 .On his recent visit to India, Alex Josephson, Head of Global Brand Strategy, Twitter spoke to everythingexperiential.com about brand engagement on social platforms and how Twitter is ushering a new experience for its partners. With experiential marketing taking on a fresh meaning with the coming of digital and social platforms, Twitter has taken the experiential game for brands to a new high. This in turn has helped the platform attract more brands and win the confidence of the existing ones. On his recent visit to India, Alex Josephson, Head of Global Brand Strategy, Twitter spoke to everythingexperiential.com about brand engagement on social platforms and how Twitter is ushering a new experience for its partners. We see a large number of brands getting associated with Twitter; tell us how do you help them create a bigger impact on your platform? Our brand strategy team around the world works with hundreds of advertisers and brands across all categories, and they have different goals and face different business challenges. Many of them are trying to reach different audiences and consumer communities. Since Twitter is an open platform, we are able to pick signals from the consumers that brands want to reach and ultimately drive conversations and deliver solutions based on those insights. The audience on Twitter is influential audience and a receptive audience and those two things are in tandem with each other to drive business results. For example, when it comes to influence, 9 out of 10 Twitter users in India have recently influenced a purchase decision among friends or family, and beyond that 92 per cent of daily active users in India follow brands, and when they come to Twitter, they expect to hear from brands. We have third party data which suggests that compared to other digital properties, the average daily Twitter user in India is paying up to 11 per cent more attention when they are on the Twitter App. So, the two areas where we think we can help brands are—one, when they are launching something new, and second when they are trying to connect with what is happening around an event or an activity. Every social media platform has opened up to brands to help them maximize their reach and find connect with the audience, how is Twitter doing it differently than the rest? Most platforms talk about their monthly active users and reach, high volume of impressions, and our differentiator is the audience itself. Because we are the only open and public platform, consumers and users on our platform do not need to be connected, and that is why news travels very fast on Twitter, it travels beyond Twitter and you will see Tweets end up in news broadcast on TV or on the front page of a newspaper or on the billboard. All of this is possible because of the open and public nature of the platform and because of the influential and talkative nature of people on our platform. When it comes to the Indian market, how are brands looking at the platform, what kinds of trends are you witnessing in such associations? Last year Motorola was the first ever brand to live broadcast an event on Twitter and they drove around 370,000 live viewers with that single broadcast. That is like TV viewership numbers but happening in a Tweet, and they created an entertainment experience out of what traditionally could be just a new phone launch, they pushed the boundaries. Typically in India you see sports content and music content live streaming on the platform, but in this case Motorola was turning the model on its head, and as a brand they were the broadcaster. Amazon is another great example with all their amazing programming. Every time they launch a new trailer or premiere a new show, Twitter is an important part of that launch strategy for them. So big launches, whether it is a new phone or a new show, that is where we see marketers take advantage of Twitter from a brand strategy standpoint. This year has three big events lined up—IPL, General Elections and the Cricket World Cup, is there anything special that you are rolling out for brands in India in the wake of these three big events? Asia Pacific is a key region to Twitter and all the growth that you have been reading about over the last couple of quarters; India is a key driver of that regional growth. So, we are doubling down on the size of our brand strategy team in India and expanding the technological offerings. We also hear concerns over brand safety, especially on social platforms, how are you enabling a safe environment for brands which get associated with your platform? With respect to brand safety, the health of the platform is our top priority and we have made over 70 changes to our policies and procedures in 2018 alone with respect to health, abuse and safety. As a result, the abuse reports are down by 16 per cent and we take action on suspicious or malicious activity and the outcomes are three times more effective and successful than they were a year ago. We offer an environment where you can target your ads adjacent to or within premium video inventory or content. We have machine learning built in place to detect every single piece of content, every single video impression that the brands run to ensure it is brand safe. And on top of that, as a last line of defense, we actually have a human team to review every single video ad impression before it is served. So we are combining machine learning with human effort to ensure that we provide brands a safe environment to reach out to their audiences.